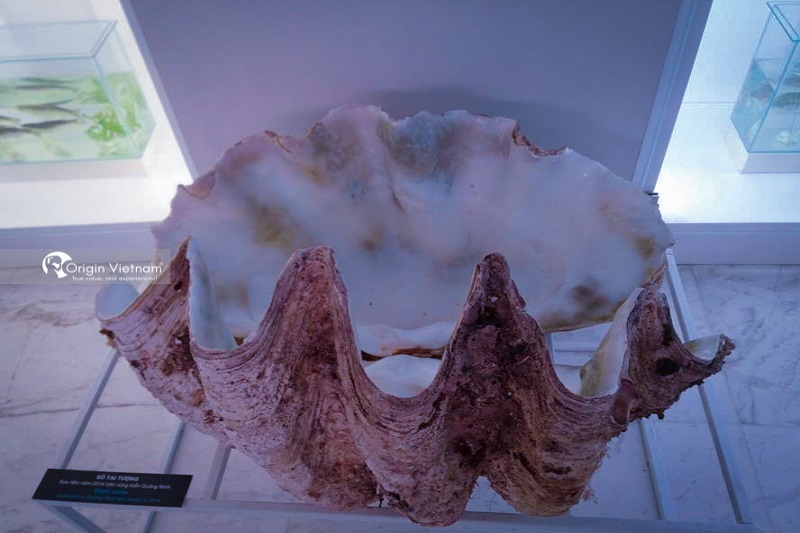 Being the unique architecture and art of the province, Quang Ninh Museum is the place to visit, study and indispensable for people and tourists. On February 14th, the entire exhibition space of the Museum was opened, giving visitors a full view of the land and people of Quang Ninh. How Quang Ninh Museum and Library is special? Designed by Spanish architect, Salvador Perez Arroyo. It's foundation in the end of 2012 and completed in October 2013. 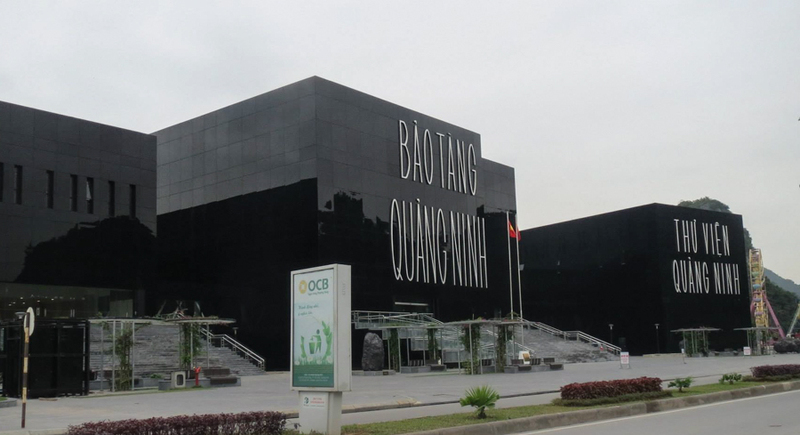 Quang Ninh Museum and Library is located on an area of nearly 24,000m² with a total investment of over VND 900 billion. It includes 3 blocks of museum, library and convention connected together by an overhead bridge system. Inspired by the icon of coal, a typical mineral of Quang Ninh Province, the building is a symbol on the most beautiful coast road in Ha Long City. Especially, the building is assembled with 14,000m² of glass which has resistant to temperature changes. Thanks to specific architecture, the building looks like a giant mirror reflecting the image of the world natural heritage, Halong Bay. What to see in Quang Ninh Museum and Library? As soon as entering the ground floor of the museum block. 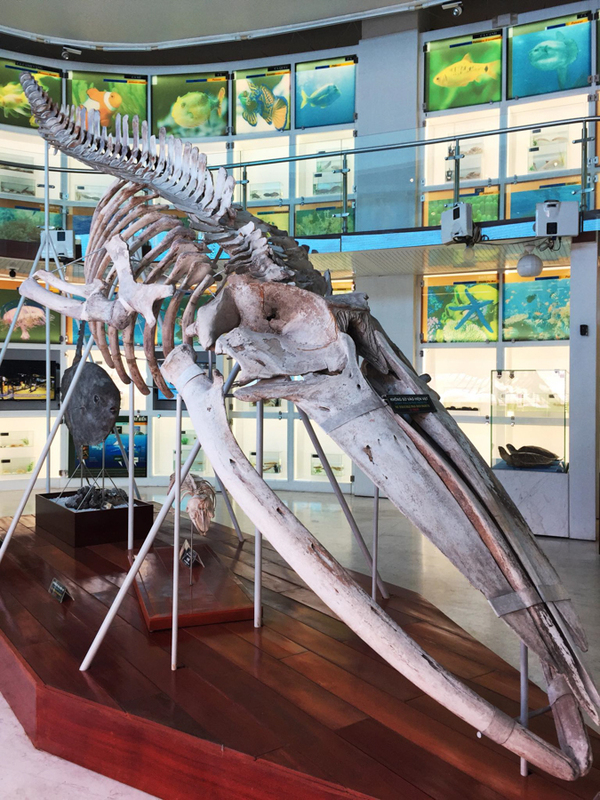 Visitors may have the opportunity to admire a whale skeleton and sailboat models. The first floor features tubular displaying columns made of modern materials. Such as steel frame, tempered glass and particularly the covering fabric with images of Ha Long Bay. Special with light projection technology to make visitors seem like walking in a miniature space of Ha Long Bay. The 2nd floor is designed based on a wooden boat to introduce Quang Ninh Province through periods of prehistory, proto-history, Bach Dang victory, resistance war against French Colonial and American Empire, and Truc Lam Yen Tu Buddhism culture. In the 3rd floor, visitors will visit display spaces of economic achievements, cultural identities and characteristics of ethnic groups in Quang Ninh Province. It's howing images of visits of President Ho Chi Minh to Quang Ninh, artifacts utilized in mining and especially coal industry. Aside from the museum, the library block is also designed in a modern style, of which the ground floor stores over 100,000 book titles of all fields. The first floor consists of conference rooms, rooms for kids, a screening room, a theatre and a coffee shop. The pendent floor has room for businessmen, display room of books and newspapers, foreign language book room, internet room. The 2nd floor is made up of general reading rooms, reading rooms for the disabled, a general book warehouse with over 200,000 titles. Also there is a conference rooms with the capacity of over 60 people. Connected with famous attractions in Quang Ninh Province. Like Bai Tho Mountain, Tran Quoc Nghien Temple, Long Tien Pagoda, Hong Gai Church, Ha Long Marine Plaza, Vincom Ha Long Trade Centre…, Quang Ninh Museum and Library is a specific tourism product containing the values of daily lives of local people. The Quang Ninh Museum is open from Tuesday to Sunday, Monday and public holidays (except for pre-booked guests). Visitors can register to be interpreted in Vietnamese, English or French. From 1/3/2015, Quang Ninh Museum official fees to visit. Fees range from 10,000 to 30,000. Subjects such as: People with disabilities, children under 1.2m in height, pupils and students studying at schools in the national education system are provided with study tours Research is free. Others subject to the regulations of the Museum will be discounted 50%.